Hello, I’m interested in 150 west Boradway Unit 311 and would like to take a look around. The details on 150 west Boradway Unit 311: This condo located in South Boston, Boston, MA 02127 is currently for sale for $999,999. 150 west Boradway Unit 311 is a 1,130 square foot condo with 2 beds and 2 baths that has been on Estately for 6 days. 150 west Boradway Unit 311 is in the South Boston neighborhood of Boston and has a WalkScore® of 92, making it walker's paradise. 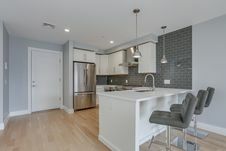 This condo is in the attendance area of James F. Condon Elementary School, Boston Middle School Academy, Michael J. Perkins Elementary School, Excel High School, Joseph P. Tynan Elementary School, Josiah Quincy Upper School, William Blackstone Elementary School, Clap Innovation School, Hurley K 8 School, and Perry K 8 School.